With our jewelry patterns, you can learn to make earrings from our instant-download electronic library. These are tried and true techniques that you can use across your wire jewelry making, and at a low price! All of our jewelry patterns are clearly photographed and labeled for easy use. 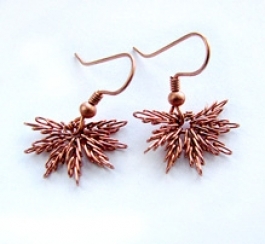 You can find most jewelry making supplies on our wire, jewelry making tools, and bead pages.